What is the Kids Cooking Green Signature Program? Kids Cooking Green is an innovative, hands-on cooking program for children. It’s about health, nutrition, food preparation, the environment and the full circle of benefits of local food and farming. 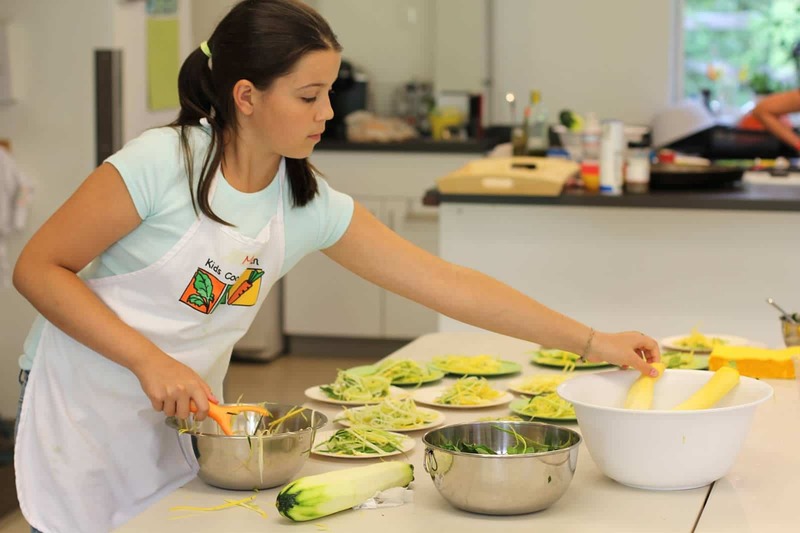 Kids learn how to make healthy choices and develop their own cooking skills, all in a fun and memorable way. Kids Cooking Green takes place after school, over a 5 week period, using a carefully planned curriculum. Each class has a nutritional component, an environmental component and a cooking lesson. The program culminates in a nutritious meal for family and friends, all planned and cooked by the children using locally grown ingredients. What are the program’s goals?